Save yourself time prepping this recipe by buying watermelon that is already cut and cubed! 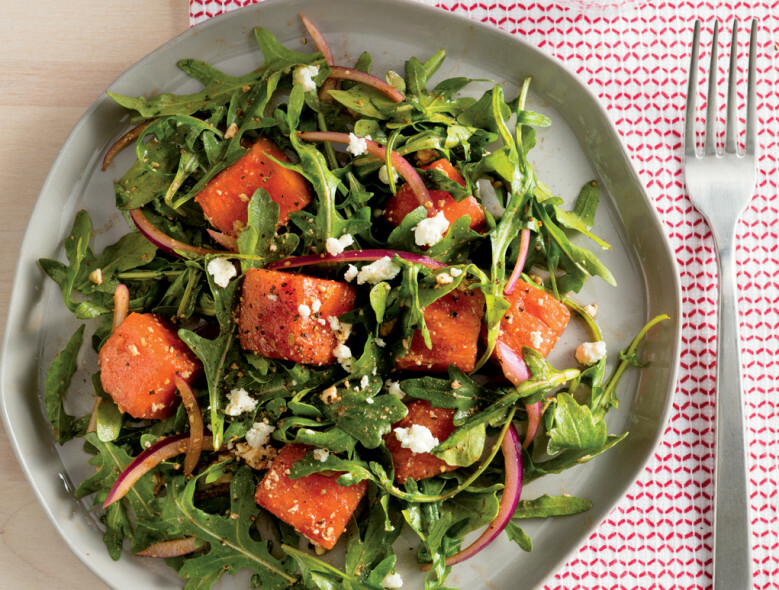 In a large bowl, toss together the watermelon, feta, arugula, and onion. In a medium bowl, whisk together the balsamic vinegar, olive oil, salt (optional), and pepper.